SAN FRANCISCO, CA - Today, Rugby World Cup Sevens 2018 will start accepting nominations for its new "Try Makers" Program, which is designed to recognize Bay Area youth and adults who champion the sport of rugby and reflect the values of the sport in their everyday interactions. As part of USA Rugby's Impact Beyond program in celebration of the Rugby World Cup Sevens coming to San Francisco in July 2018, Try Makers was developed, in collaboration with local youth development organization Play Rugby USA, to showcase the positive impact made in the Bay Area by members of the local rugby community. "Rugby shares the same values as the Bay Area, so we wanted to develop a program that would actively recognize the contributions local members of the rugby community are making every day," said Rugby World Cup Sevens 2018 General Manager, Rosie Spaulding. "Try Makers is one of Play Rugby USA's core values and is featured prominently in the Impact Beyond curriculum. We are excited to be a part of this new program and highlight the impact that rugby has for young people, both on and off the field," said Play Rugby USA San Francisco Program Director, Anthony Lenos. In addition to the Try Makers program, Rugby World Cup Sevens 2018 tournament looks to leave a legacy that extends beyond the stadium walls through USA Rugby's Impact Beyond initiative. 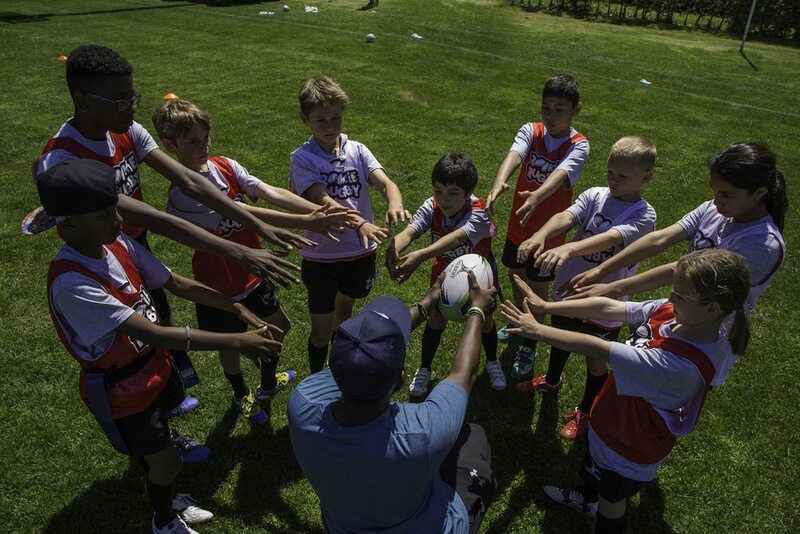 In addition to the Try Makers recognition program, USA Rugby will be hosting clinics, tournaments around the Bay Area where youth will be introduced not only to the sport but also to the values that drive the sport, with the goal of engaging, inspiring and empowering youth. In partnership with Play Rugby USA, USA Rugby Academies and Playworks Northern California, Impact Beyond will be made available to schools, nonprofits and after-school programs across the Bay Area through lesson plans, and a series of events and tournaments. The curriculum strives to educate in three areas - inclusion, cultural appreciation and the skills of rugby - and is available at usarugby.org/impact-beyond. "Through Impact Beyond, we will be supporting local programs that help the region's children build character and understand how diversity makes us all stronger," said USA Rugby CEO Dan Payne. "We could not be more excited to work with Bay Area schools, nonprofits and community partners across the region in celebration of the Rugby World Cup Sevens coming to San Francisco." Nominations for the Try Maker recognition program will be accepted online February 21 through April 30, 2018. Try Maker recipients will be announced in June 2018. Eligible nominees must reside in one of the nine Bay Area counties, and participate in the rugby community. For more information and to submit a nomination, visit usarugby.org/impact-beyond.